Diamonds, rubies and jewels! 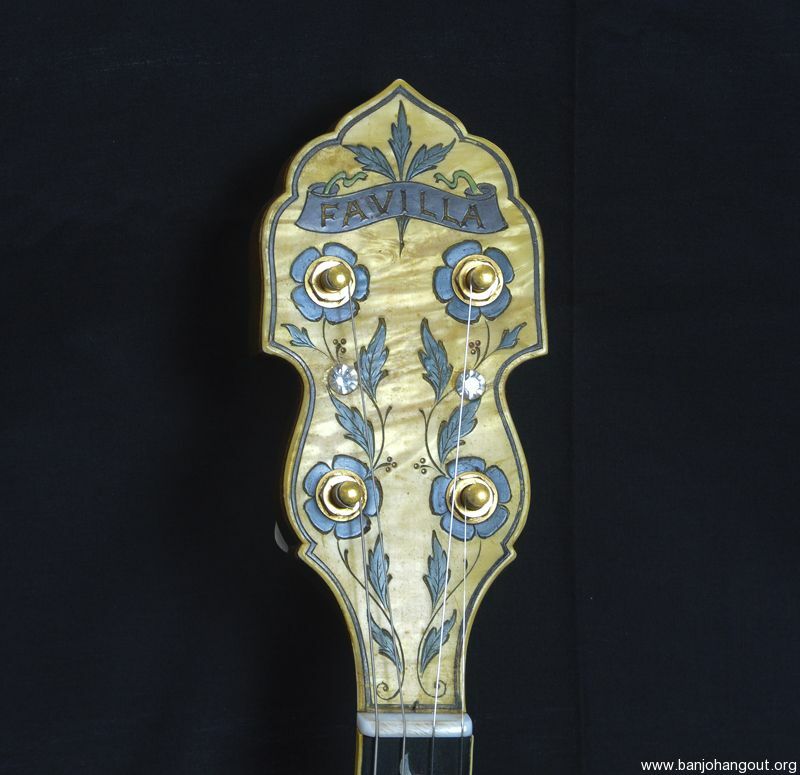 This instrument may have acquired much of its extensive bling from a previous owner after leaving the Favilla workshop. Not that it wasn't fancy at its inception — with gold-plated hardware and a peg head covered in engraved amber-colored pearloid. The fretboard is inlaid with a mother of pearl leaf and flower motif that even features a pair of flying geese at the 10th fret. The neck and resonator are made of curly burly walnut and the resonator features inlaid lines of multi colored marquetry. 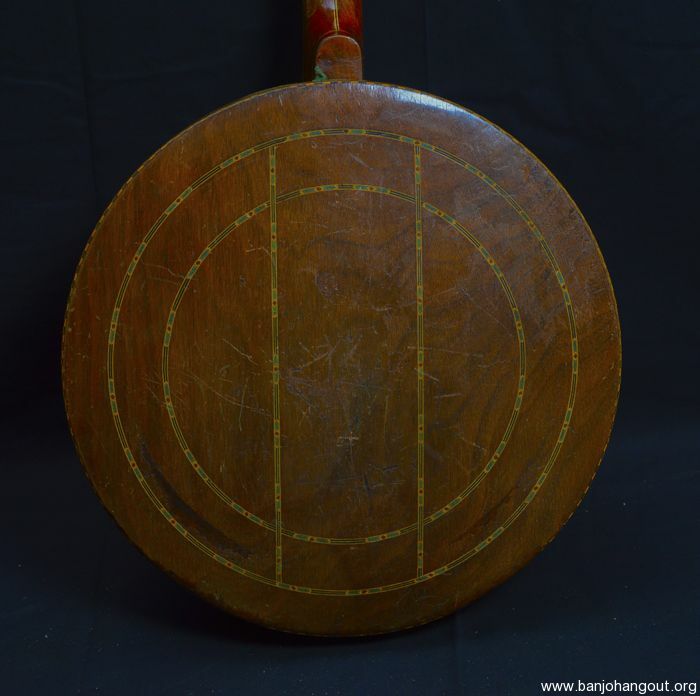 The tone ring is of the rolled brass style, with 20 holes partially drilled through the wood rim, and the tailpiece seems to be a Grover "clamshell" engraved "DeLuxe" as found on the Gibson TB-5. 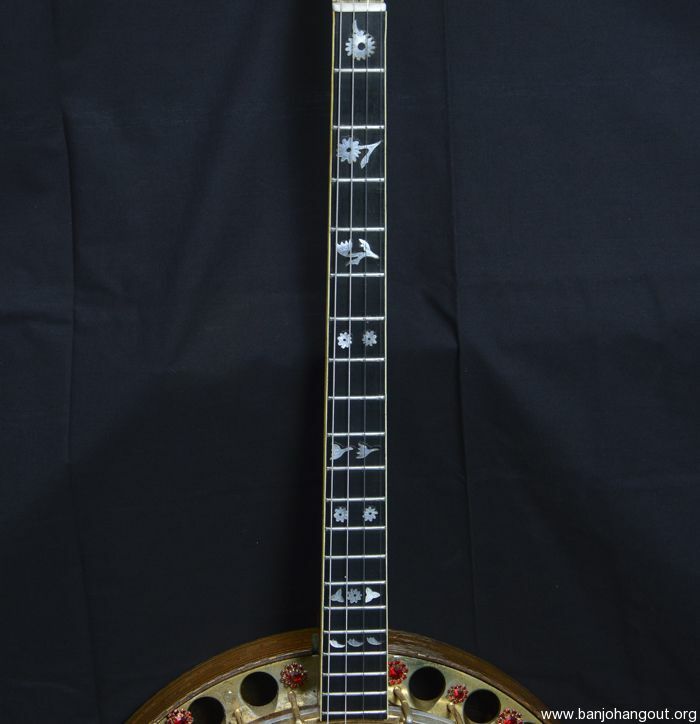 The tuning machines are gold plated Planet style and curiously, extra holes were drilled between the first and second and third and fourth tuning machines. 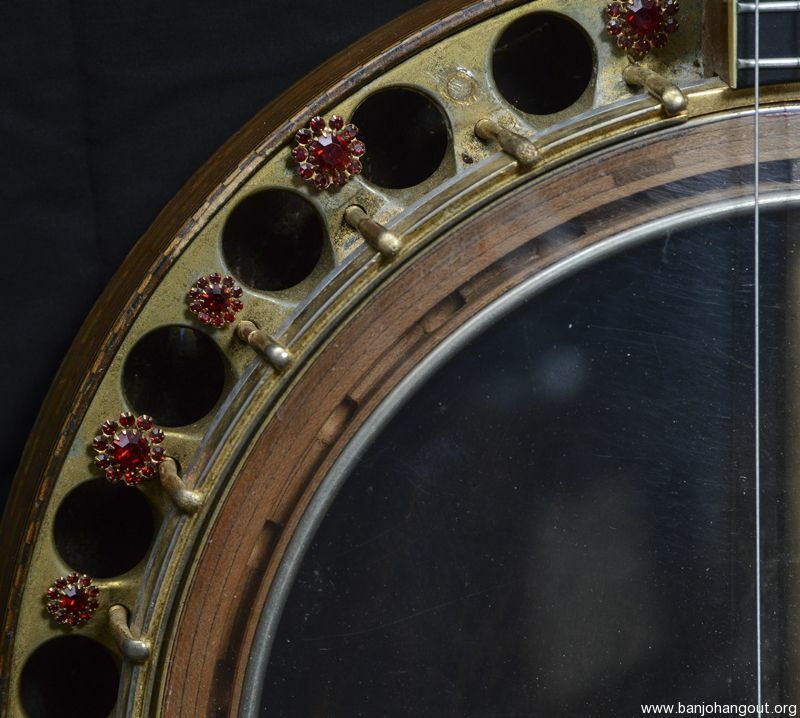 This high quality banjo is perfect for the Irish tenor player, or those who like a snappy-sounding banjo.It's in excellent condition with a few scratches on the resonator, easily compensated by the addition of imitation rubies placed at equal distance atop the resonator flange. 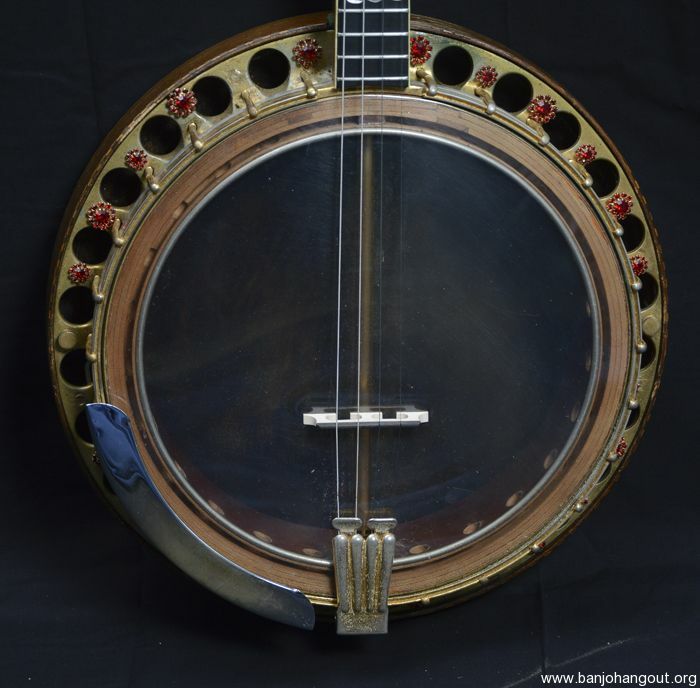 Get your banjo bling on!